A warm and friendly West Coast welcome! 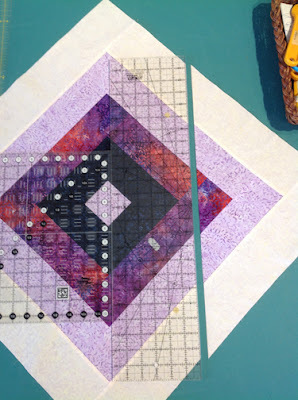 Are you ready to get started on this fun quilt designed by Jen Shaffer? Gathered all your fabrics, loaded a couple of bobbins and a new needle in your machine? 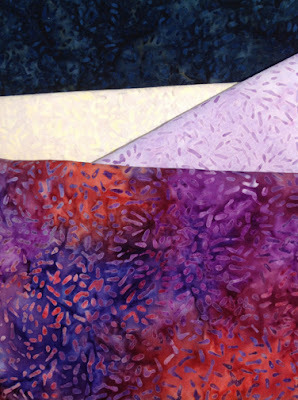 A reminder....these are the fabrics I am using for my quilt. 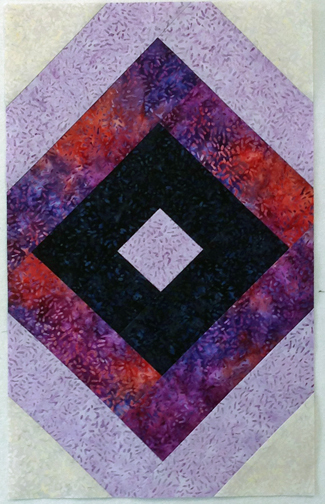 I decided to 'switch it up a bit' by swapping the values for my quilt. That's not the 'colours' - value is the relative lightness or darkness of the fabrics. Want to know more about 'value'? 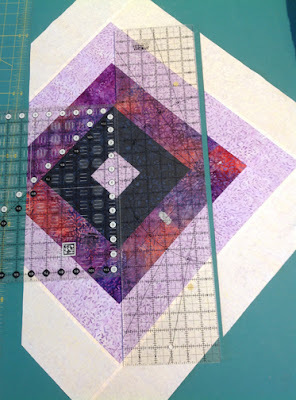 I included a tutorial when I posted about my Ripless Paper Piecing online workshop back in 2016. Scroll down to read about 'value'. PS: This class is now 'on demand' at the Academy of Quilting so ignore the start dates - you can start any time. 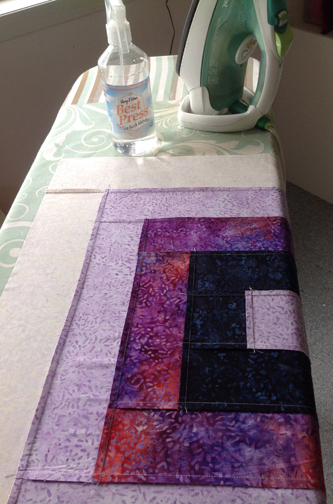 First I had to decide which fabrics to use for the centre section. I definitely want to use one of the Ketan Multi fabrics for this part. 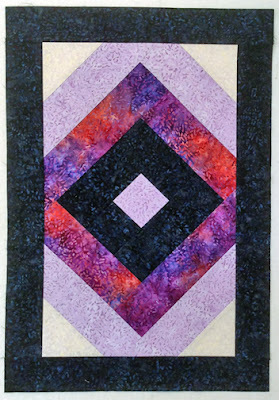 It will sent the 'tone' for the entire quilt. I did a quick seam allowance test. I didn't just measure the seam allowance; I pressed my small test to be sure it measured correctly. Different fabrics can give you different results once the seams are pressed. For example, the seam allowance I use for my fine batik fabric is different from what I would use with a flannel fabric. You might want to do that too. 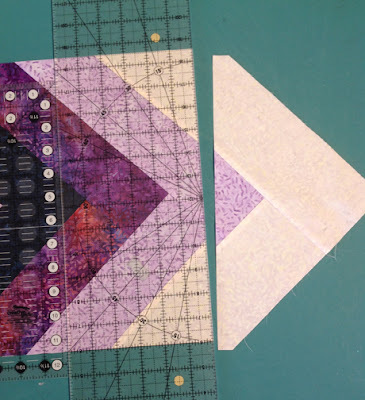 It's a good idea to prevent problems as you sew your quilt. 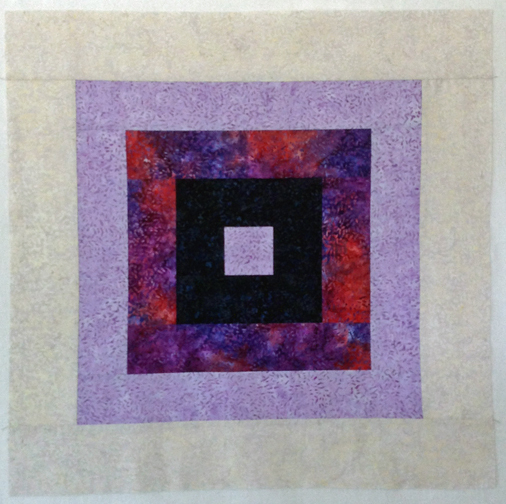 I sewed the centre block. It's the perfectly correct size because Jen tells us to cut the strips the right length at the beginning! 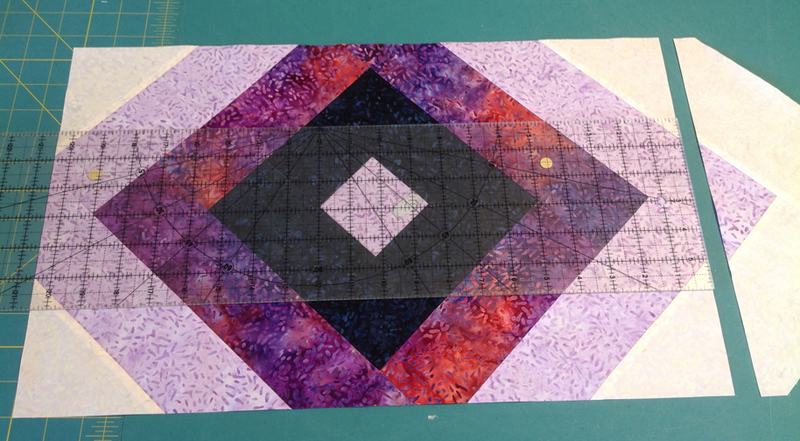 I have to trim the block to be a rectangle and this means I will have 'bias' edges. I didn't want them to stretch so I used Best Press when doing my final pressing for the block. 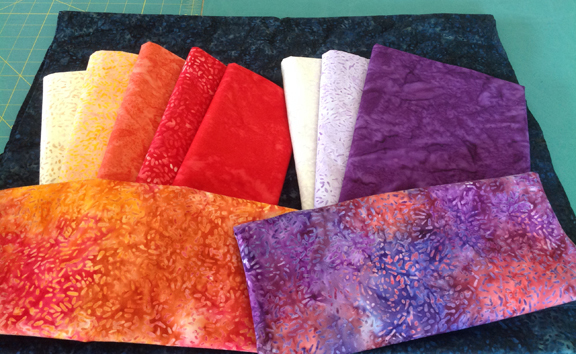 This starch alternative is a great way to stabilize your fabrics. on the corners of the centre square. Then my 24" ruler is snuggled up and I trim the first side. adding up the measurements to get the correct width. and using the 2 rulers to get the measurement for the length. My 24" ruler, lined up perfectly on the cut edges to make the final cut. I'm loving my fabric choices so far. Finally, I added the dark blue border strips to the rectangle. Of course everything fits perfectly since I measured twice (or actually three or four times) before I trimmed the square into a rectangle, and the border pieces are cut to the exact length before they are sewn on. Can't wait for the next step! Tune in on September 26th to see what I'll be using for my next border.